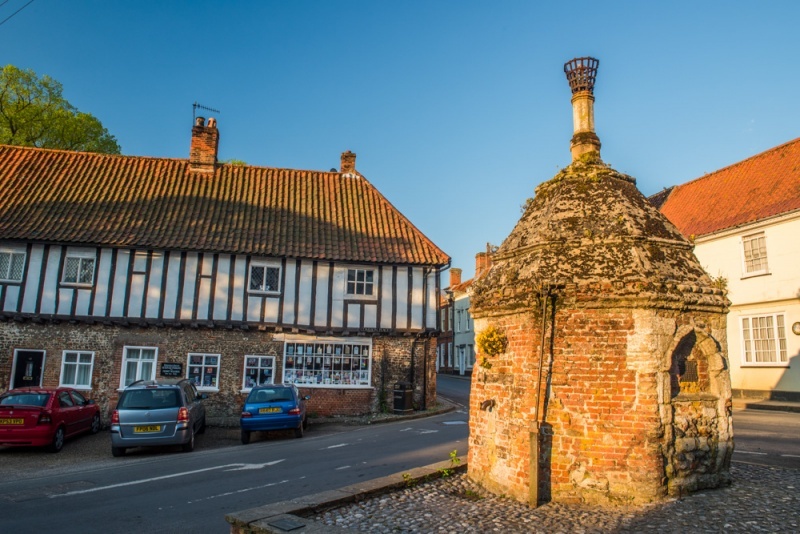 It is difficult to imagine that the quiet Norfolk village of Little Walsingham was one of the most popular pilgrimage destinations in medieval Europe. Pilgrims flocked here to visit the Shrine of Our Lady of Walsingham. Much of the shrine was destroyed during the Dissolution of the Monasteries, but remains of the priory can be visited. The priory gatehouse, in particular, is still quite impressive. Within the Abbey grounds stand the striking remains of the east window of the priory church, standing like a sentinel amid manicured lawns. You can explore the vaulted refectory undercroft and see the site where the 11th-century Saxon shrine of the Holy House of Nazareth once stood. Beside the Abbey grounds is the Shrine of Our Lady, a modern rebuilding of the medieval shrine and still a destination for pilgrims. You will see all these terms used to describe the monastic remains at Walsingham as if they refer to the same thing. Let's set the historical record straight. The monastery at Walsingham was a Priory. After the Dissolution of the Monasteries, the former Prior's Lodging was converted into a mansion. By the late 17th century the mansion had become known locally as The Abbey. Today you will often see Walsingham Priory referred to as Walsingham Abbey, though that was never its original name. And what of the Friary? 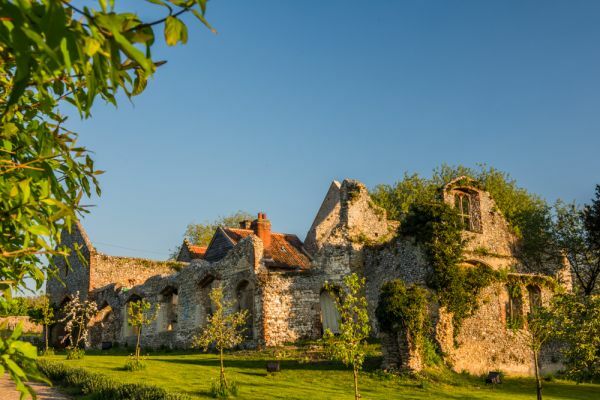 A very short stroll from the Abbey grounds stands the ruins of a 14th-century Franciscan friary founded by Elizabeth de Burgh, Countess of Clare. The Augustinian canons of Walsingham Priory objected to the new friary, fearing that it would attract pilgrim money and lessen their own income. The canons petitioned Edward III to prohibit the friary, but the king ruled against them. The Friary ruins are spectacular. The monastic church is almost gone, but the domestic buildings and the guest house still stand to almost full height. The ruins are not generally open to the public but can be viewed through the gate off Fakenham Road, just south of Church Street. 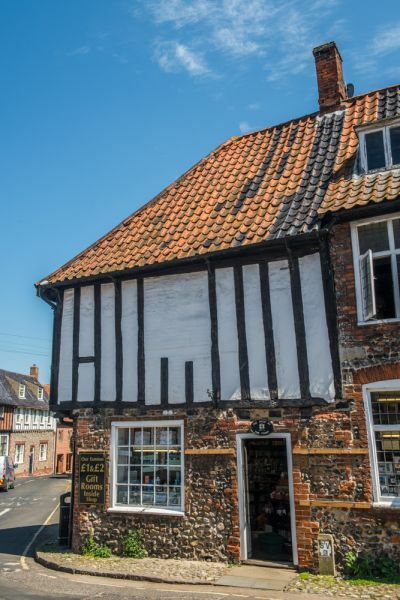 Little Walsingham boasts a marvellous array of historic buildings in such a small place, with medieval timber-framed architecture dominating the square known as Common Place, and the High Street area. One iconic building is the Pump House on Common Place. This curious octagonal structure was built in the 16th century as a public water supply. It was originally topped by a pinnacle but this was broken due to the weight of bunting used to celebrate the coronation of Edward VII (other sources say it was celebrations for the relief of Mafeking during the Boer War). There were two markets in Walsingham, each run by a different monastic order. The Augustinians of Walsingham Priory ran a market on Tuesdays in what is now Common Place, outside the Priory entrance. Edward III then granted the Franciscan friars the right to hold a market each Friday, and naturally enough this gave rise to the Friday Market street. As you might expect, there was a strong rivalry between the two markets, with the canons and friars vying to attract merchants willing to pay for their stalls. 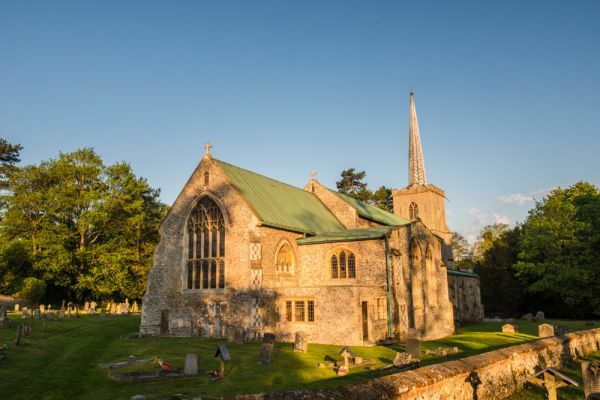 St Mary's church is located just a short stroll from the priory, but it is worth the walk! Here you will find one of the finest Seven Sacrament fonts in the county. In addition, there is the beautiful alabaster memorial to Sir Henry and Lady Jane Sydney. The Shirehall was built in 1500 and served as a prison and courtroom. 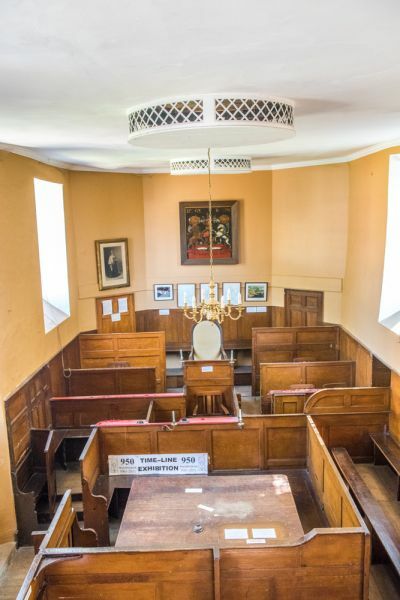 Today it houses a museum of local history, but you can stil see the historic courtroom and visit the nearby Bridewell, a Georgian House of Correction, with dark, dank cells and atmospheric, echoing corridors. The Bridewell was built in 1787 on the site of a leper hospital. It was based on John Howard's plans for a Model Prison, with 8 cells, a chapel, and a day, or common room. In 1823 treadmills were installed to grind corn, simultaneously providing exercise for prisoners and making them pay for their imprisonment. The Bridewell keys can be obtained from the Shirehall museum. A path leads from Little Walsingham over ground known as the Holy Mile, to the Slipper Chapel, a lovely little 14th-century building on the pilgrim route. Pilgrims removed their footwear at the Slipper Chapel and walked the mile to the Shrine of Our Lady barefoot. For a different way to visit Little Walsingham, try the Wells & Walsingham Light Railway, a four-mile miniature railway leading from Wells next the Sea to Little Walsingham. Nearby is Binham Priory, the remains of a medieval monastery set in lovely countryside. I've had the pleasure of visiting Litte Walsingham several times. 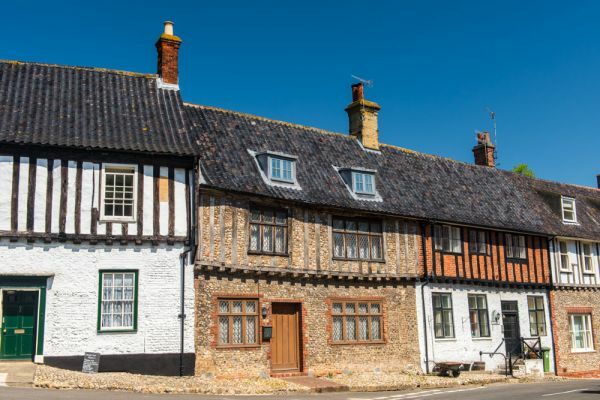 It is one of the most beautiful and picturesque villages in Norfolk. 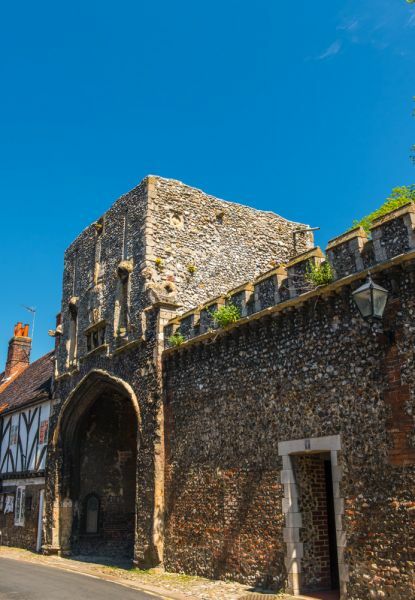 The sheer wealth of historic architecture is remarkable, and when you add to that the village's long history as a destination for pilgrims and the remains of the medieval priory and friary, you have something very special indeed. Give yourself plenty of time; there is a lot to see and enjoy.